Featured Book Friday: Looking for Guest Authors! You are my hero, Emily!! Love it all! Awww, thanks Ruth! You know Gina is my inspiration! Thanks Jamie! I know what you mean–it is hard to know where to start, at least it was for me. 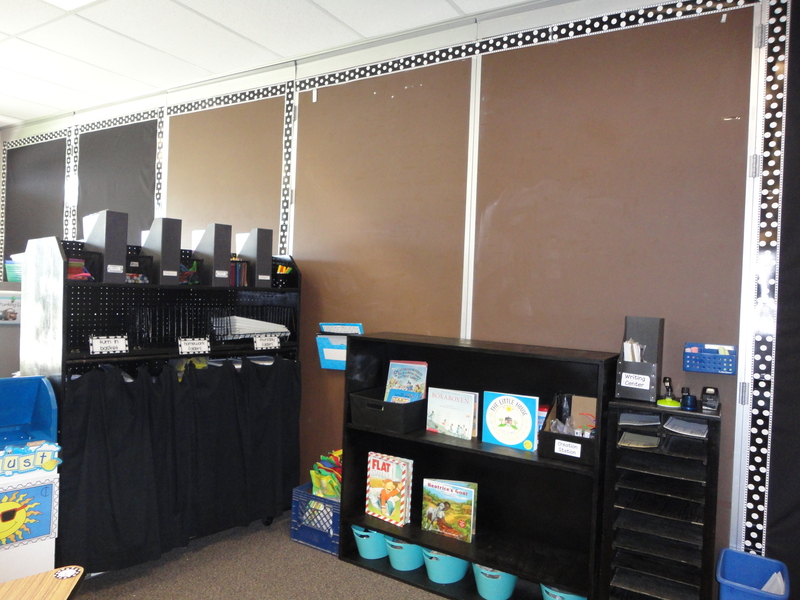 I started with the bulletin boards and borders a few years ago, so I think that’s a good idea to start there (especially with kids coming on Wed)! The next year I painted all my furniture the same color. The class I took talked about only emphasizing what you really want the kids to pay attention to and putting your color there. They said the furniture and stuff should just blend so your eye goes over it, and it will make your room look bigger. Where you put the pops of color, your eye will stop and take notice instead of trying to notice everything! It took me awhile to really be able to do this because I was the queen of “stuff” before! I really do like my room so much better now, and since I spend a lot of time there, it should feel comfortable. Good luck with your room! I’ll look for your pictures on TBA! My eyes totally went towards the color in the room. Such a good idea and a “duh” moment for me. 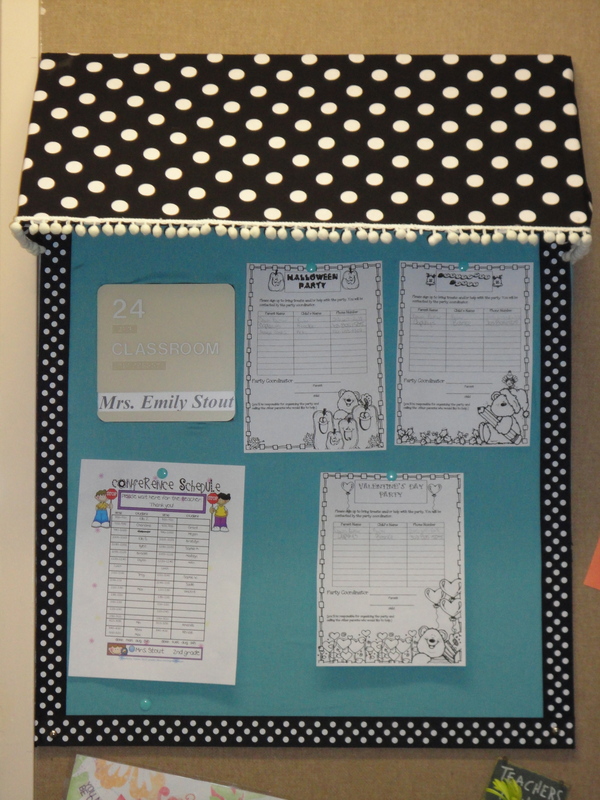 I’m waiting for my polka dot borders to come so I can at least change the bulletin boards. 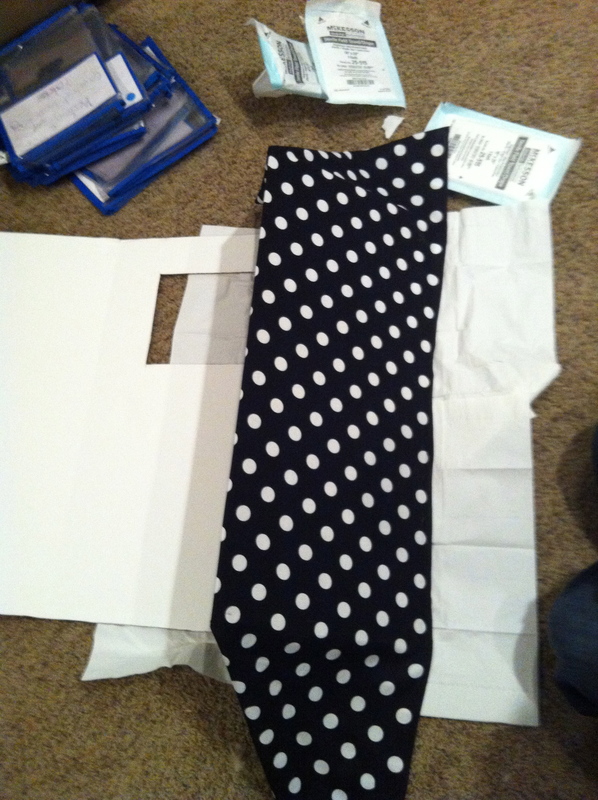 (Funny how many teachers like polka dots. It’s just so cute! 🙂 ) So my old borders are still up just in case the borders don’t get here on time. Ha! I know exactly what you mean about a “duh” moment! 🙂 That’s how it was for me too when I took the class. Be sure to post pictures of your room too! I’d love to see what you have now and how it changes when you get your new borders and stuff! Em your room looks amazing! 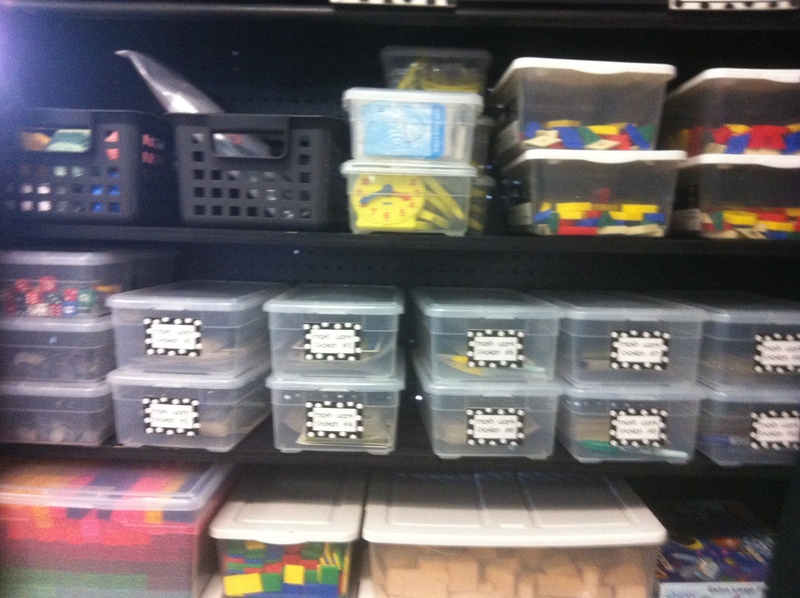 Those kiddos are so lucky to get to learn in such an inviting, organized and creative environment! Thanks Eve! 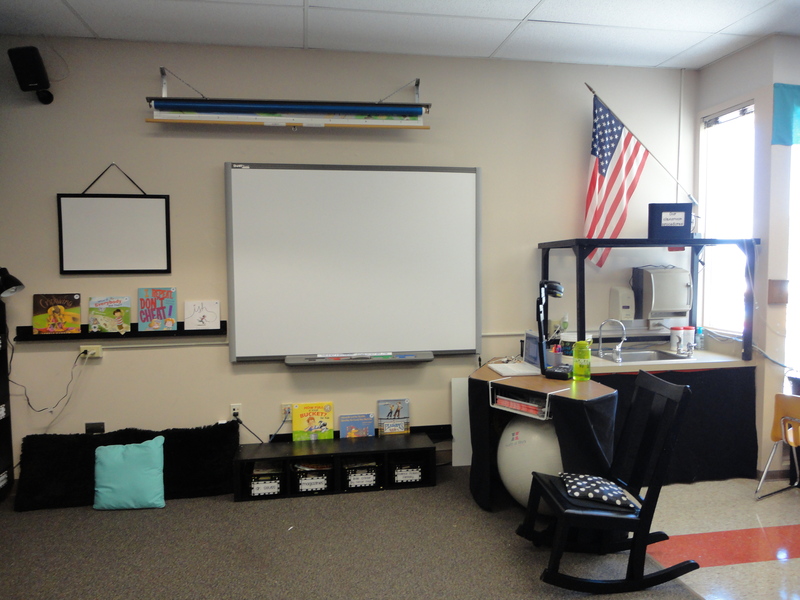 When I was looking at my pictures, (because pictures give you a different way of looking at it then the real thing) I was thinking that my next focus (next year) for improvement would be the front of the room where the smartboard is. I don’t want anything too distracting, but I feel like it could use a little something. Maybe a swag or something to spruce it up? Since you are my decorating consultant, I was hoping you had some ideas! Let me know what you think! 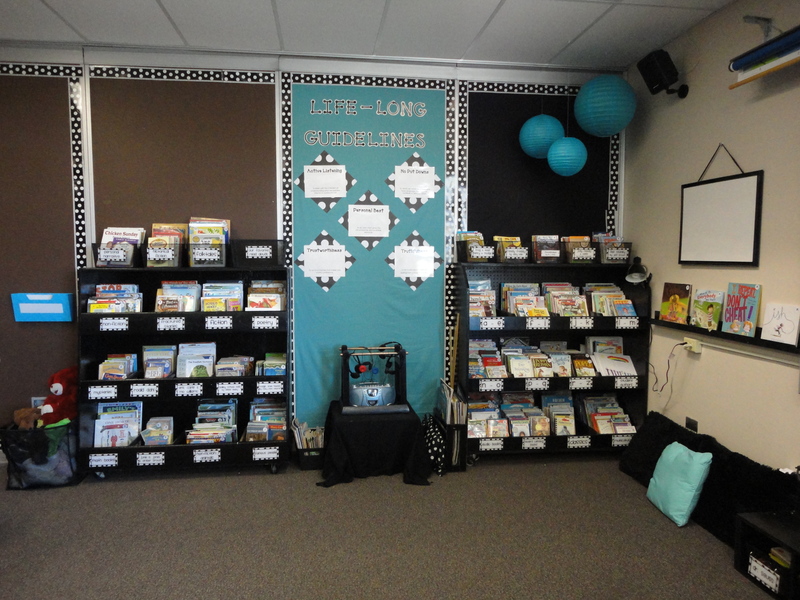 I’ve been looking through other teacher’s classroom pictures, and I just LOVE Kleinspiration’s room! I’ll email you the link, and maybe it will help you give me some ideas for the front. Thanks! 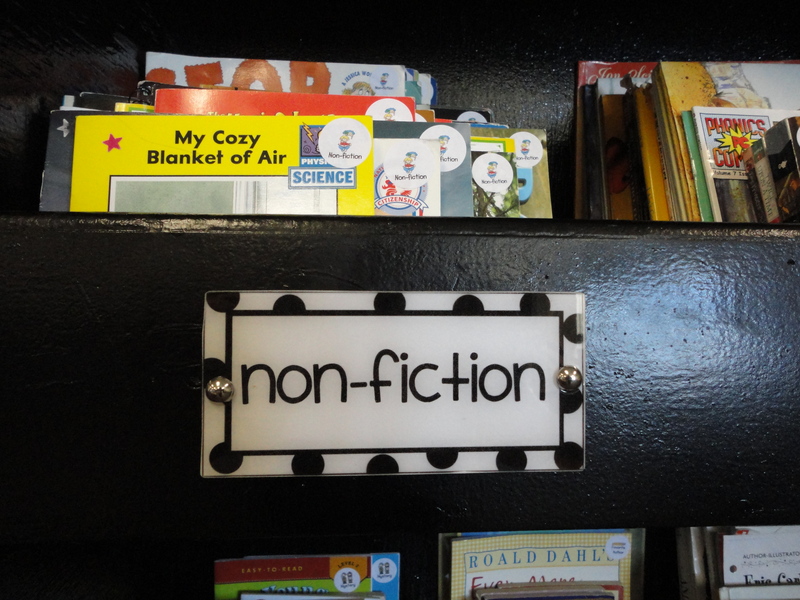 Where did you get your book shelf that the labels are on? Was it homemade? 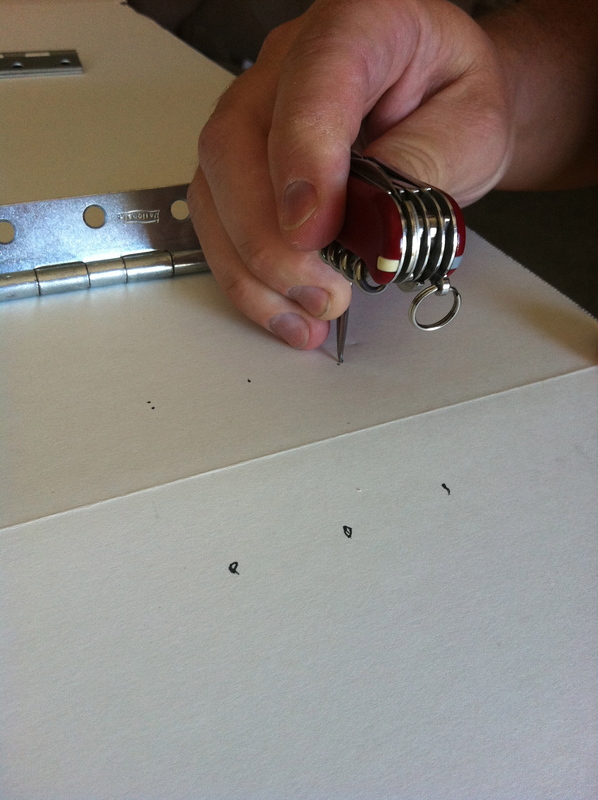 Also the stickers you printed the book labels on, where can I get them (online? if so what name of them?). Love your room so inviting and HUGE!! I went from what I thought was a large room to basically a closet and now a portable and I am so jealous of the size of your room. My husband did make my bookshelves for me–he’s so amazing! I don’t where you live, but he does make custom things like that for teachers. It’s nice because he can build it to fit the space you need! The labels are not actually stickers. I couldn’t find exactly what I was looking for, so I just made them myself and printed them. I’d be happy to send them to you if you’d like them. Being in a portable is tough. I actually have a smaller room now than I did before I came to this school, so I had to learn to use every space I had wisely! Not having as much clutter and using black as the color to blend into the background really helped make my space look bigger too. In the class I took, they said only make the things pop that you want to draw kids attention to. The furniture and other stuff should blend in so your eye flows around the room. I used black, but I’ve seen other teachers use brown or dark green and it looked amazing! Good luck with your room! 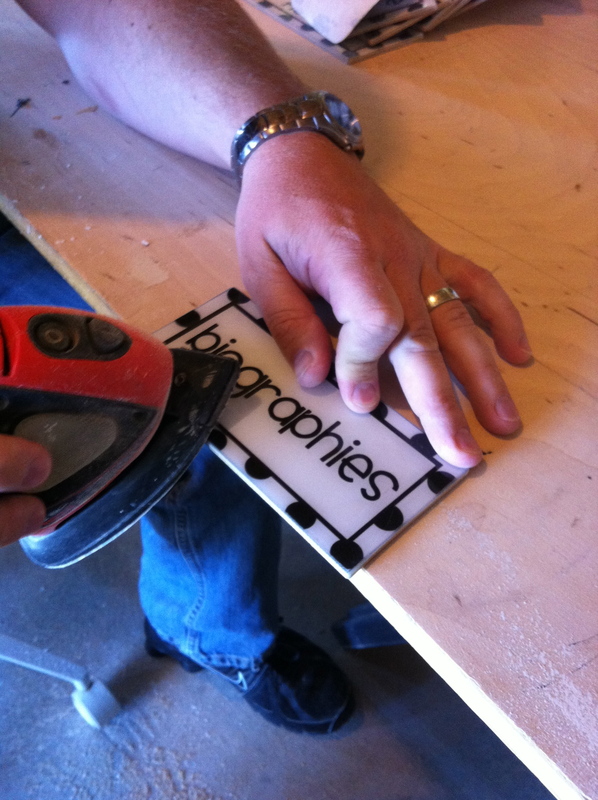 I would love if you could send me the template for your bookshelf labels. This is exactly the design I am looking for. I am planning on decorating in black and red but your black and blue has me thinking about changing my mind. I love how happy it is. Thanks! I’d be happy to send you my library templates. I’m back in school now, so I’ll send them to you this weekend. I can’t quite seem to find the time yet during the week! I’ll be sure to check out your blog for pictures too! Thanks Sarah! 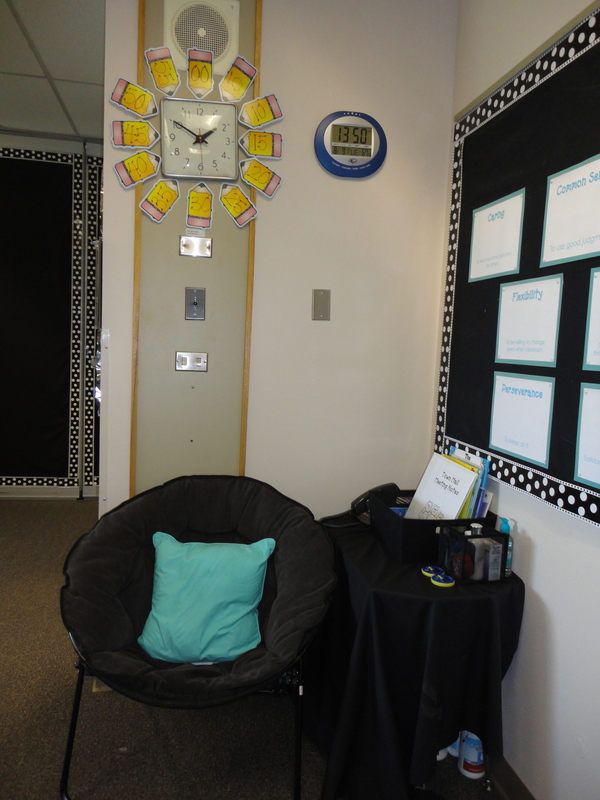 Be sure to take pictures of your new classroom so we can see them! Love the library and awning how-to’s! Just need a handy dandy man to get them made for me too ^_^ Thanks for sharing! 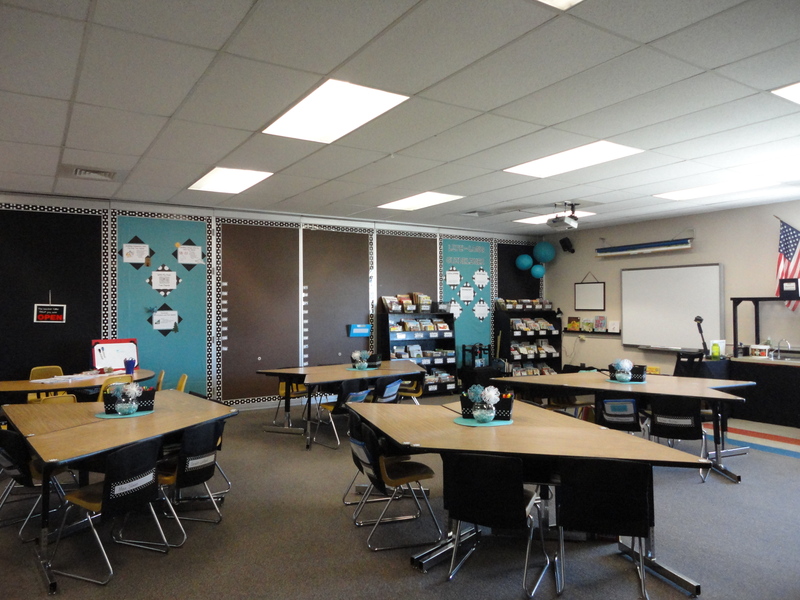 I love everything about the room…the pictures are calming, the color scheme is great!…nothing distracting and everything organized, makes you want to come in and learn! Great ideas and your room looks so nice! Thanks for the inspiration. WOW!!! 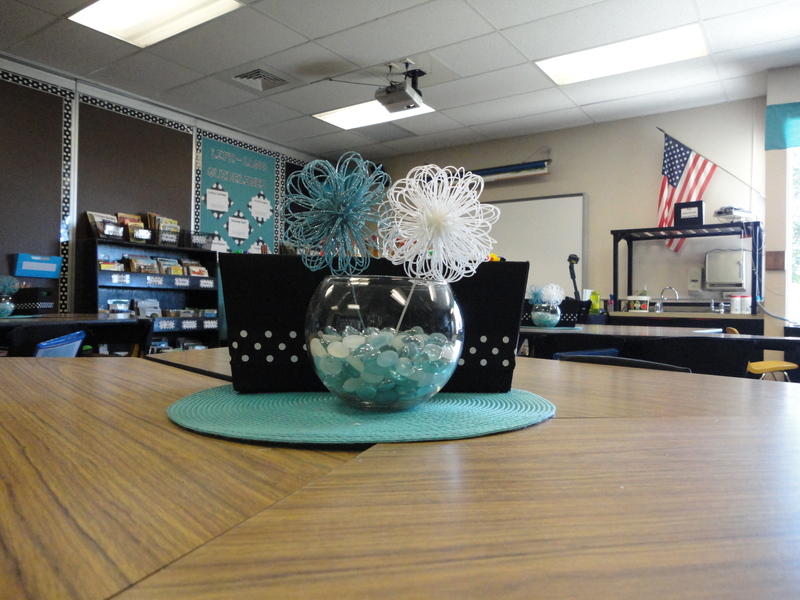 Your classroom looks beautiful! I love the warm and calming colors. It is certainly inviting!!! I am going to strive for an environment that looks like yours!! Fantastic use of the trapezoid tables and I love the color scheme. So calm! Saw a photo on Pinterest.com and wandered over. I’m bookmarking your blog. 🙂 Have a great school year! What an amazing space you’ve created! I love all of your organization ideas and beautiful decorative touches. Thanks for sharing. 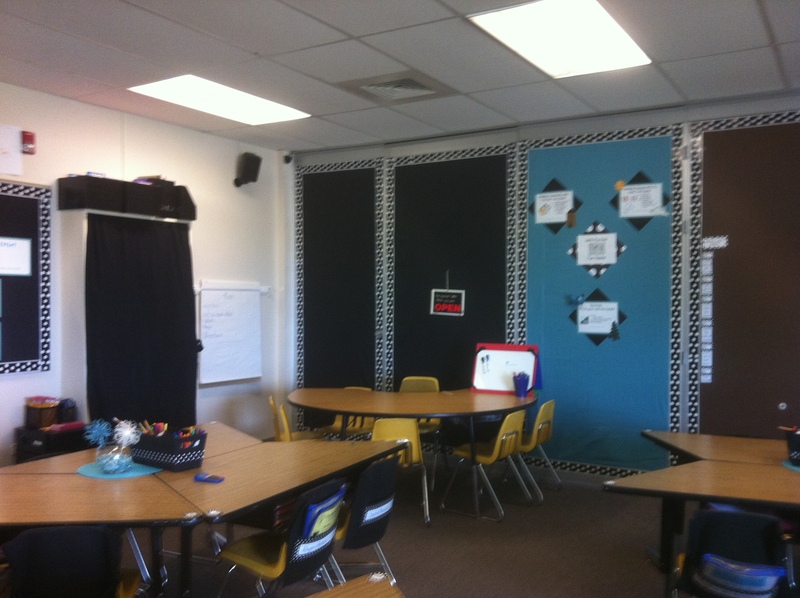 I love the black, blue and brown wall panels (with borders) in your classroom, and was just wondering what materials you used to create them? 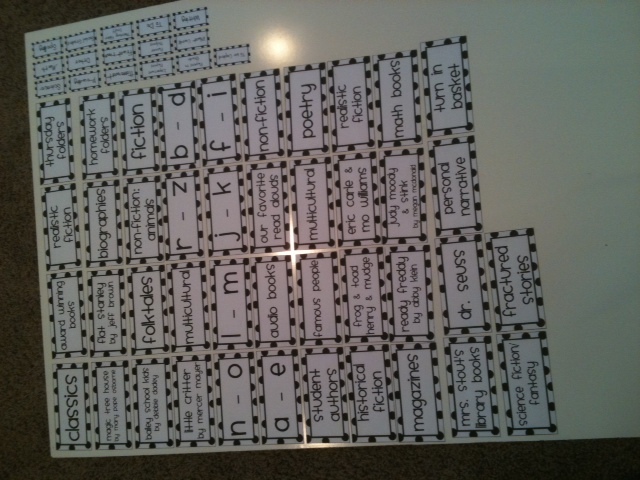 I will be setting up my first ever classroom in 2012 and would love to do something similar. Thanks! 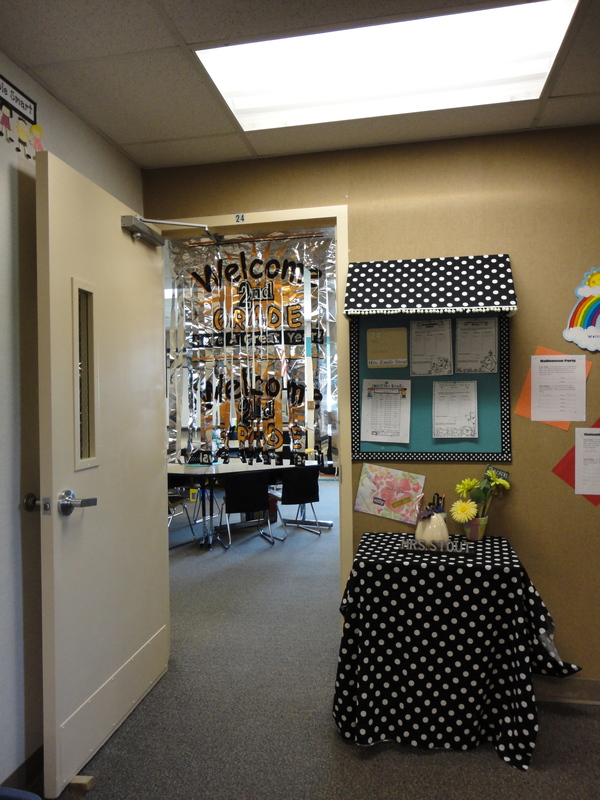 I used black and white polka dot borders from a teacher store and the walls are covered in fabric. I just painted the furniture black so that the accent color drew attention and not the furniture. I got the little things like placemats and pillows at Target. I actually focused on having less (which is different for me because I used to be the queen of stuff!) good luck setting up your new room! It’s always fun to do! Let me know if you have any specific questions I can help with, and I’d love to see pictures of your room! I do have another question, actually. I really like your idea of the Australia ‘Getaway’ Corner, but was wondering if you might know of a similar book from another country? I might end up using the same book, but as we are in Australia already I might need to alter the destination slightly lol 🙂 Maybe by making a tropical island setting or just a calm space..
Love Love Love the bookshelf. My hubby is handy. This might work out! Thanks for sharing such wonderful ideas. I AM the Queen of stuff at my school and I want to declutter and have it stay that way. Any suggestions? Thanks! My best advice to start decluttering is don’t be afraid to get rid of things! If you haven’t used it in the last year or 2, don’t keep it! With the new CCSS standards, I’m fairly confident they won’t change again anytime soon, do I organized my “stuff” based on that. I also made sure that everything I kept had a permanent place so I could always put it away. I used Debbie Diller’s book as inspiration to start decluttering, Spaces and Places, then the class I took to redecorate. Good luck! I’d love to see what you do with youre room! Thanks for sharing your dynamic decorating! I love the bookshelf, I plan to show it to my handy hubby. Please let me know how you managed to “declutter” and stay organized. I am a Kindergarten teacher who hates dealing with my piles and papers, etc. Thanks! I really love your bookshelves! I am a teacher in Thornton. I would totally be interested in checking out his designs! Absolutely ! I’ll email you and you are welcome to come by my classroom sometime! I have had friends hire him to build shelves too, or if you have someone who will make it for you, he’s always happy to share how he made it as well. Sorry, I am just now seeing you replied! My email is lornamarga@yahoo.com or lking@prospectridgeacademy.org. Thanks! 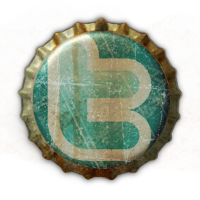 Hi there, simply become aware of your weblog through Google, and found that it is really informative. I’m gonna be careful for brussels. I’ll appreciate for those who continue this in future. Lots of folks will likely be benefited from your writing. Cheers! What size is the box that is under your Smartboard? I have firsties and we all are short. No one sells these step boxes. Love yours!!! Thanks! My husband made it for me–I couldn’t find any for sale either! He made it to fit my smartboard and the baskets I already had (from really good stuff), so it is 4feet wide by 8 inches high, by 12 inches deep. It is perfect! Depending on where you’re from, he does make/sell custom furniture for classrooms as a hobby. It’s expensive to ship though, so probably not worth it if you’re far away. Hi there you are just brillant! I love your entry way and your “Australia” space…I had to pin it. 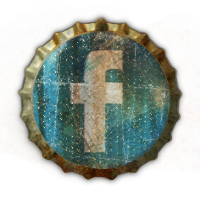 I will like you on fb…great ideas! Thank you so much! You’re so sweet! I did find the ideas other places and just made them my own. Please let me know if you try any of these ideas. I’d love to see how it turns out! Wow! Thanks so much! 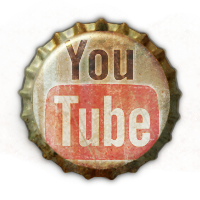 I checked out your blog too and became a fan on facebook! I’m looking forward to reading your blog too! Thank you so much for your ideas! They are great not only for schoolrooms, but for little vintage campers that don’t have much room in them! We are always looking for decorative ways to store things, and your labels are just the best….we weren’t even looking for that, we were on the search for awning ideas to begin with, and we think, with a couple of small modifications, your awning will be just the ticket. Mucho thanks! I LOVE your room! 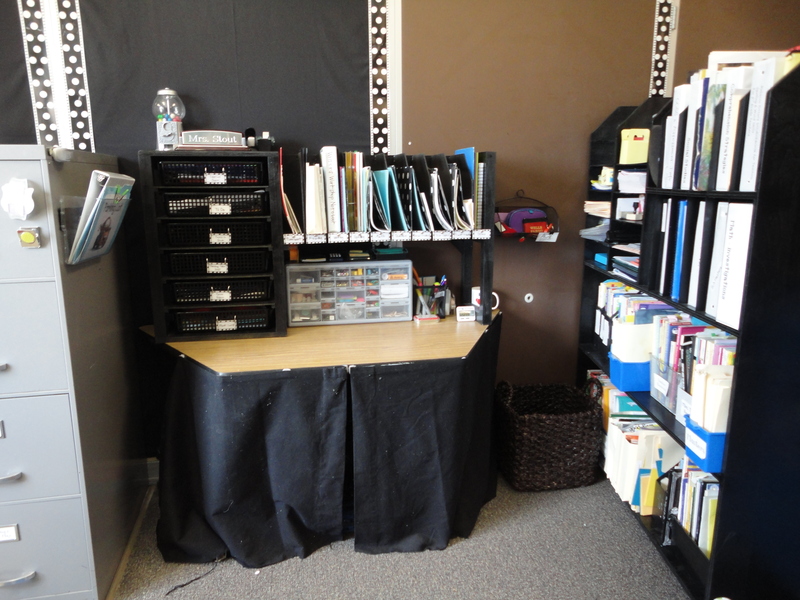 This is my first year teaching second grade, coming down from 10 years of Jr. High, and I’m still using trial and error to arrange my room to fit our classroom needs. I wish we had tables instead of individual desks. Thanks for the inspiration!! Thanks so much! Good luck setting up your room! Sometimes if you ask for things you’d like, such as tables instead of desks, your principal, or janitor, or someone comes through for you! It’s worth a try . . . I love your room! Could you please email me the bookshelf labels? My husband is so going to make those for me this summer. I love your awning! I have a question though. Is that regular posterboard or foamboard? I’m just curious because it would seem that plain posterboard would buckle. 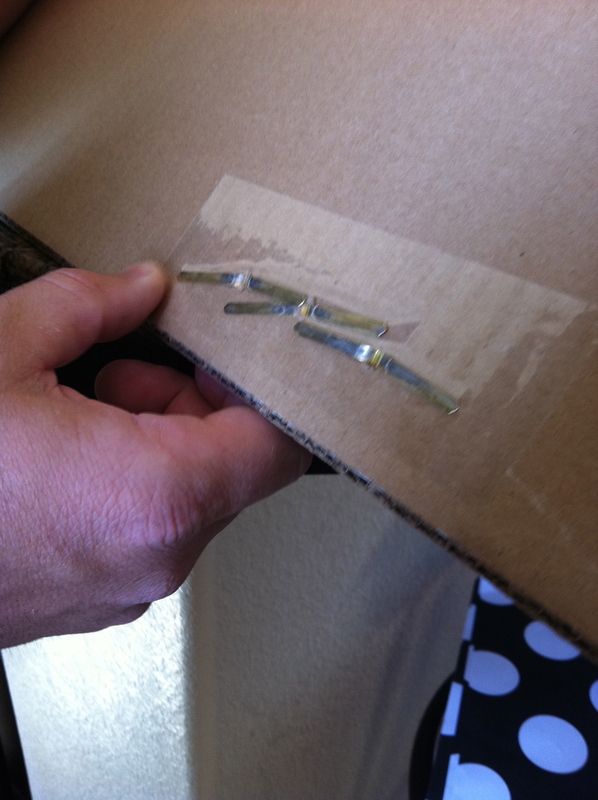 Also, if it is plain posterboard, do you just tape the stuff instead of pin or staple it? Sorry for so many questions. Ah, I looked at your pictures again. I saw the cardboard backing and then I enlarged your picture to see another fold in the board. Now, I realize that it is a tri-fold board. Now, I have a new queston. Did you paint the board blue or is it BB paper, or something else? It is actually fabric. I just used adhesive spray to put it on, but I’m sure painting or butcher paper would work too. I’m just a fan of fabric because I think it stays looking nice longer. Let me know if you make one! I’d love to see how it turns out! Hi! Yes, it is regular poster board which is necessary to you can fold the awning down. The other fold on the poster board doesn’t fold up when I put it on the wall. To hang it on the wall, I used furniture tacks. 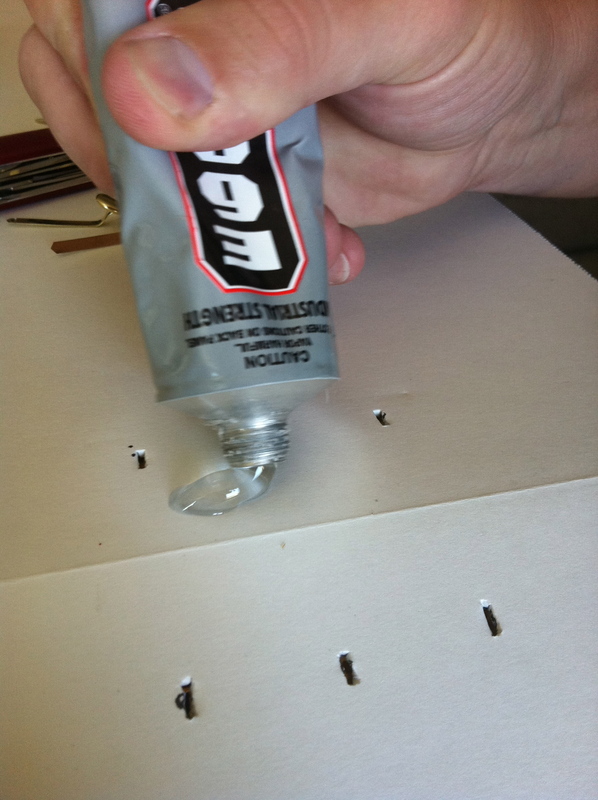 They’re longer than regular thumb tacks, so they will go through the poster board and the wall and hold everything up well. I just did a google search for furniture tacks and ordered them from a company online. They were inexpensive, and they work great! 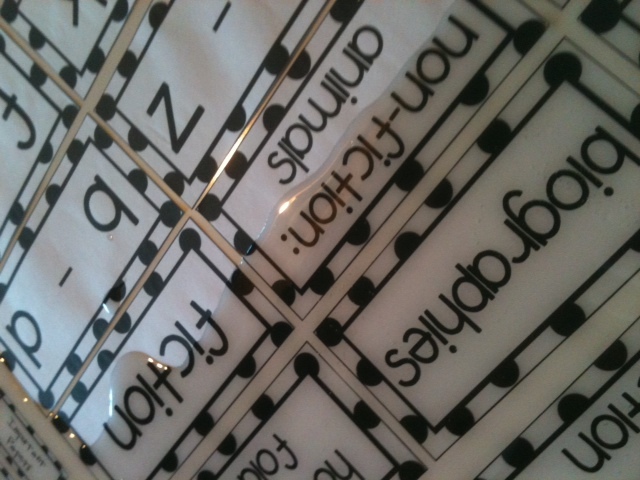 Doing my classroom polka dot themed for next year. Where did you buy your borders? And where did you buy your book library shelf? I ran across your blog through google and I love your ideas! What did you use to put your material around your desk and other items in your room to hide everything. I want to cover my desk but not sure what to use. Thanks! I just used the cheapest fabric I could find at Walmart or Hobby Lobby and cut them to size. For the taller shelf I bought curtains at Target and used a tension rod to put them on. I do suggest using one of those roller cutting wheels and a cutting mat to cut the fabric though (you can find it in the sewing section) because it is almost impossible to make a straight cut with scissors! I used sticky velcro to attach it to the sides of the table so I could take it off at the end of the year and throw it in the washer. When the sticky stuff stopped being sticky, I used a hot glue gun to restick it to the fabric. I hope you can make it work for you too! How do you attach the awning to the wall once you’ve made it? I used furniture tacks to hang it up. 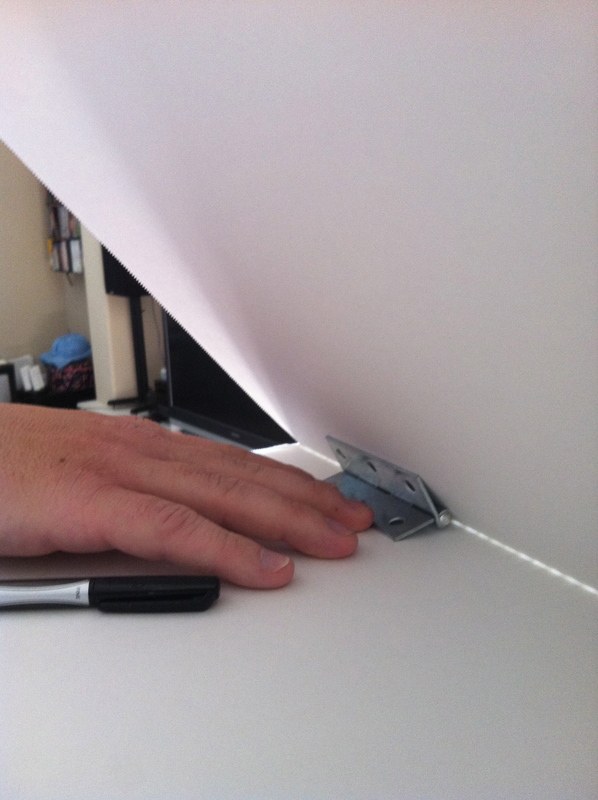 They are twice as long as a regular thumb tack so they go through the poster board and the wall and it stays put. I just googled furniture tacks and found a store online that I could order from. They were pretty inexpensive, and I love using the furniture tacks to hang other things in my room. They work really well! HI! I love the awning idea and read through all the responses, but still have a question…How far into the poster board did you fold the awning down? Also, you said in one response that it was just plain posterboard? Not foam-board. Is that correct? Thanks! I’m glad you like it! 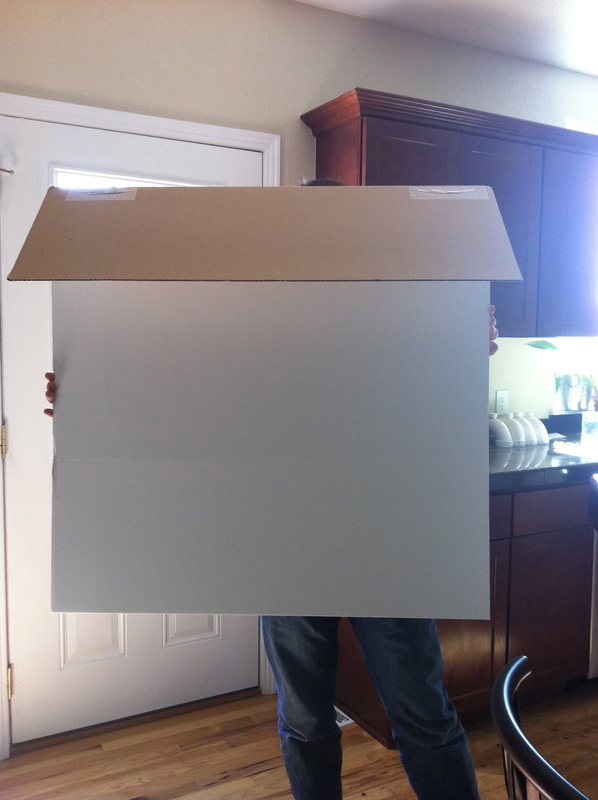 It is not foam board, just plain poster board that kids would use for a science fair project, so it already has 2 folds in it. I used one fold for the awning, and I did not use the other fold. 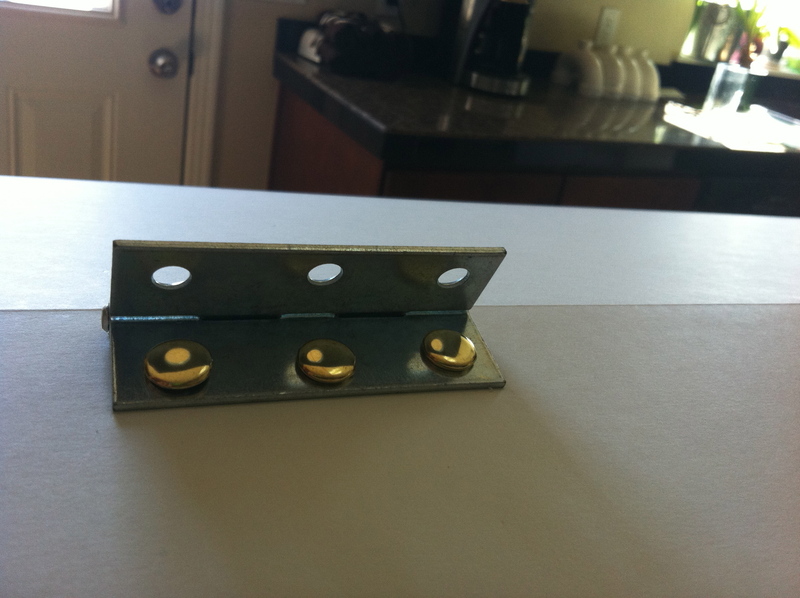 When I hung it on the wall with furniture tacks, I tacked the 2nd fold straight, not bent (does that make sense?! )I hope that helps! I’d love to see your finished product! Thank you for all your great ideas. 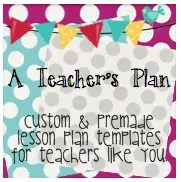 I will be able to implement alot of your ideas in my Kindergarten classroom. This has been very helpful! I love your classroom and especially the awning. How did you get that to hang outside your room?? I have tile walls outside in the hall and can’t figure out how to hang it. Thanks! Thanks! My wall isn’t tile so i used furniture tacks. 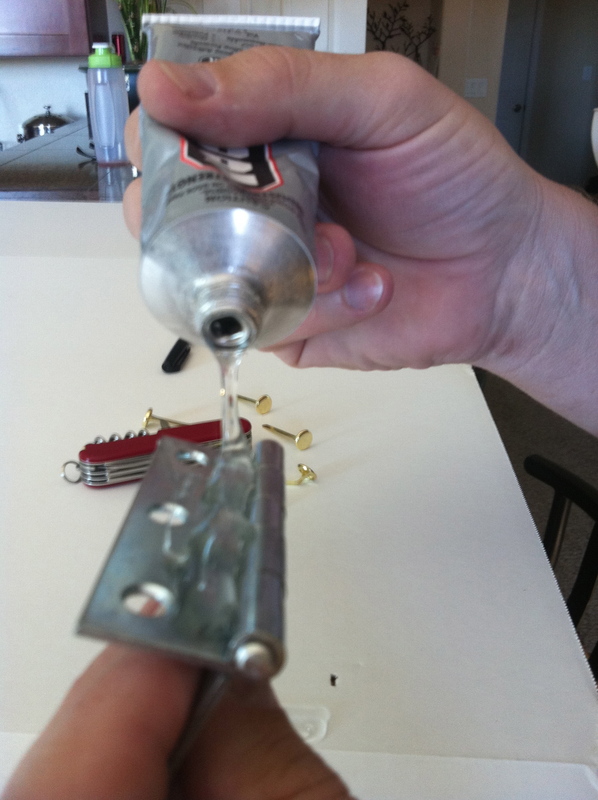 You might try a hot glue gun for a tile wall. The awning isn’t very heavy, so it might work. Good luck! In the end, though, the dowel wasn’t straight enough, so guess what I used? Foam triangle pattern blocks! Thanks so much Rebecca! Youre right, it is nice to know when someone is blogging about you! That is so funny that your husband said to use hinges! I’m so glad you told me about the dowel rod. 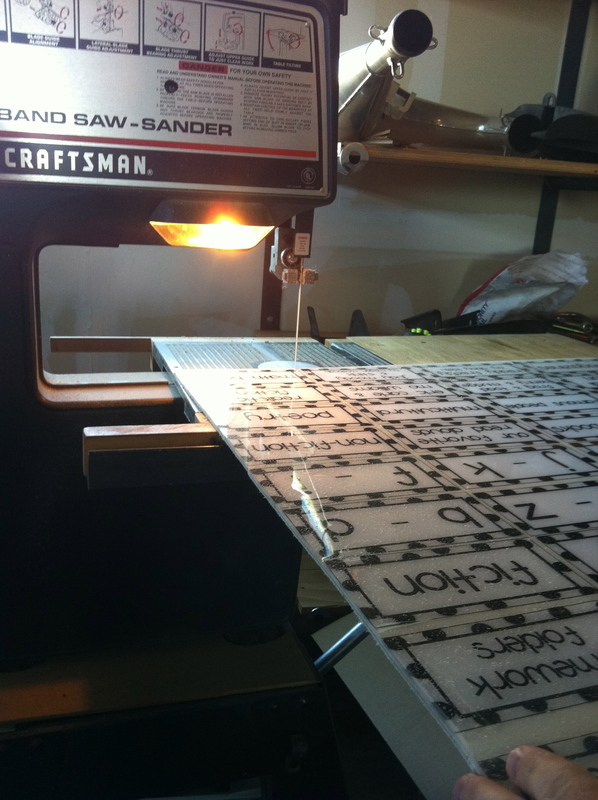 I’m making a smaller version of the awning to go over my CAFE board in my room, and I was going to use a dowel rod. The triangles are an awesome idea! I’m definitely going to do that for my new awning! Thanks for the advice! I checked out your post, and your awning looks awesome!! 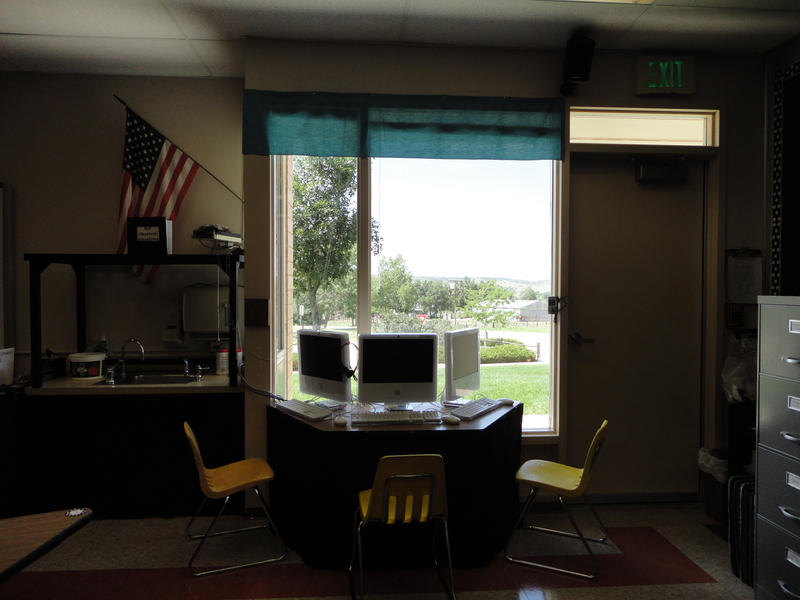 Love your classroom…especially your awning! Would you please let me know HOW you hung it on the wall? Thanks! Oops! Just saw the other post! Thanks! I used furniture tacks to hang it on the wall. They’re extra long, so it went through the poster board and the wall. I ordered them online, but this summer I saw them at ACE hardware. They’re great for hanging lots of things! Your labels are BEAUTIFUL! 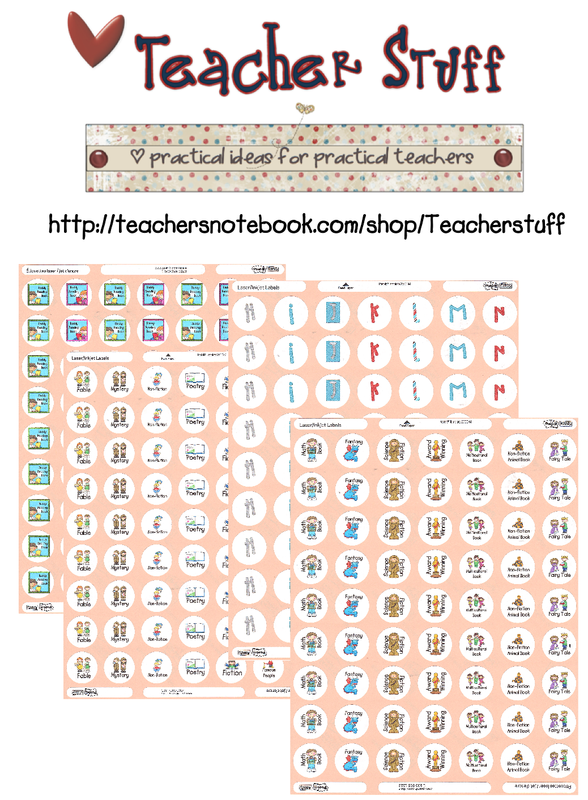 Thanks for sharing your ideas–they will be well used ^_^ Happy teaching! Wow! I had planned a polka dot theme this year but this is way better! It still keeps with my obsession with the dots but it make it so much calmer and relaxing. And thanks for all your great tips and love that it came with pictures. And again….Wow! Thanks so much! It’s easy to do, but I think it has a big impact! Polka dots in any color are easy to find right now. I’d love to see your room when you have it ready to go! How did you get the material to stick to the trapezoid table? Mine did not stay. I love your labels – they are adorable. I just have one concern – Why did you not use capital letters where needed? caps look that way! I was too far down the road by the time I got to a label where it really mattered, so I left it alone. A god lesson to learn from me! Love your classroom! Do your trapizoid tables come with built in desks or did you make them? Thanks! Most of them came with the desk part, but I was 2 short so my husband built the last 2! I just love your bookshelves. This is exactly what I have been looking for. 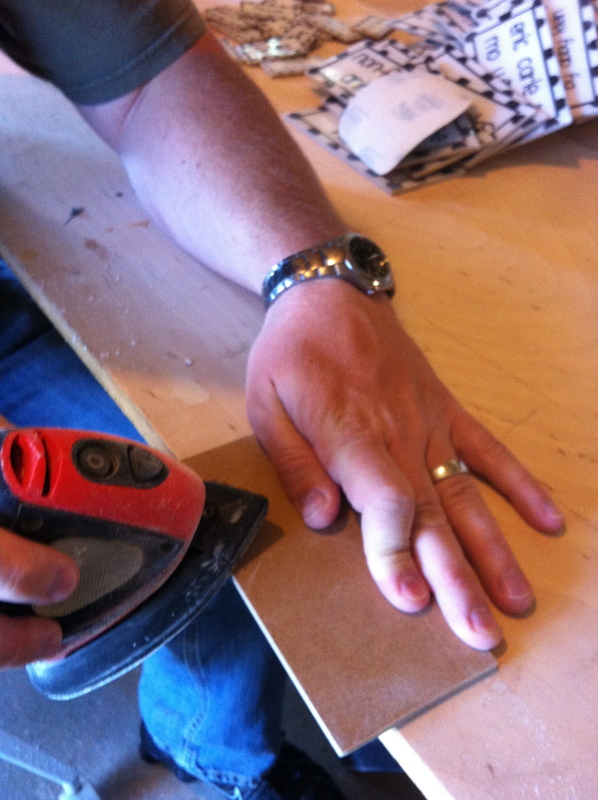 Would your husband be willing to share the materials and an idea on how he put it together. Thanks so much! I found your posting by way of Pinterest. I’m setting up a new classroom and was looking for some new decorating ideas. I immediately felt like we were on the same wavelength. Then I read about you and I understood. I taught at Lone Tree until 2 years ago and that is where you got your inspiration. I am still sticking with most of the HET environment but I especially like your “spin” on things. I am using your color scheme and a lot of your ideas. Thanks so much for posting. Oh wow! Yes, that is exactly where I took the class! I’m so glad I could be helpful! 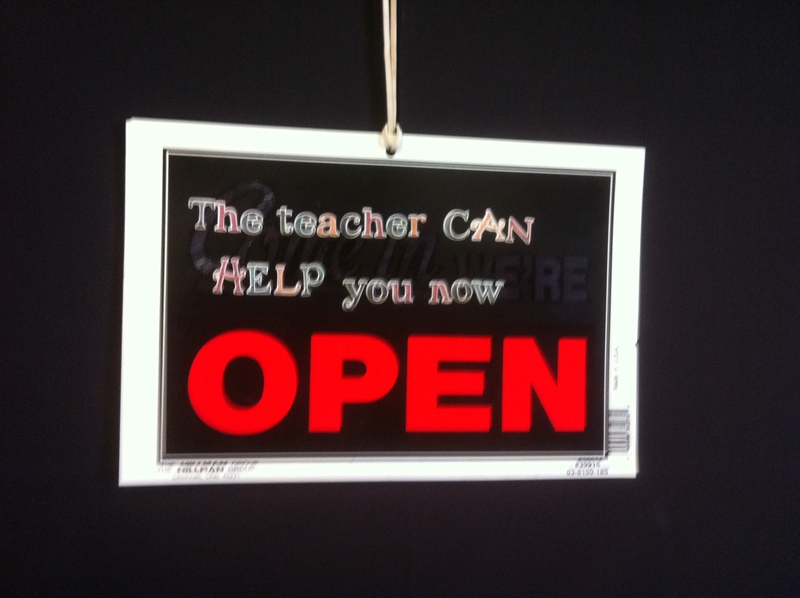 Where are you teaching now? I love your room set-up. I’m moving from a large room to a portable and a new grade. I don’t know where I will put all my books. I would love the labels if still available. Thank you for your inspiration. 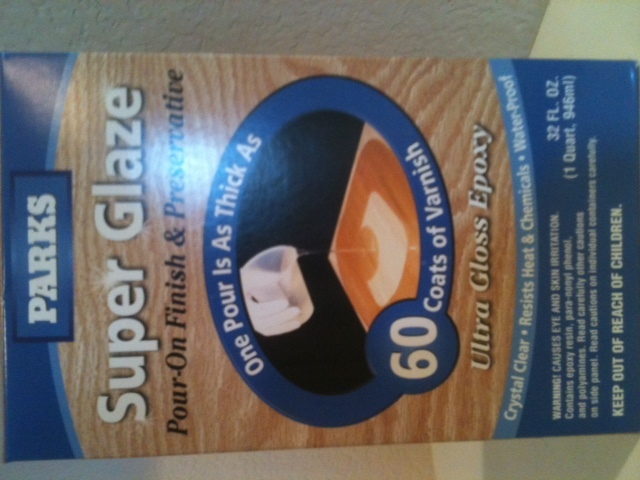 I had thought about the epoxy treatment…now I know how to do it! The labels look great! Thanks. LOVE your bookshelf! Wish we were close enough to have your husband make me one. How deep is it? Thanks so much. Thanks! Since I left the classroom, I’m actually looking to sell it. It’s one of the best things I’ve ever used, but it’s pretty big, so I don’t have a great place to store it. If you’re ever in Colorado, I’d love to give it to you! I love your room! Those are my colors too. 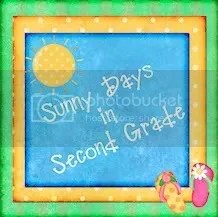 I am trying to do bulletin boards like the ones you have to add color to my white walls. Is that butcher paper or bulletin boards along the wall? 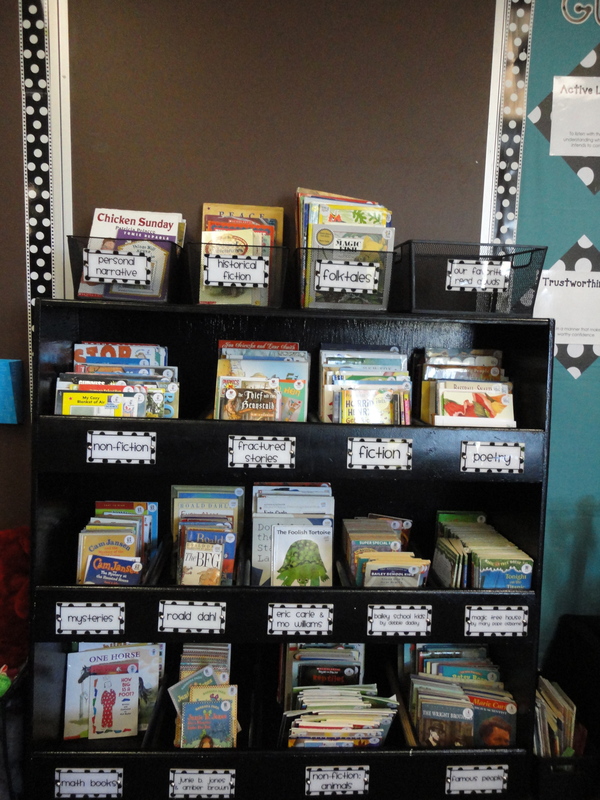 If not bulletin boards, what did you do, use, and how did you get it to stay? Thanks!! Thanks! 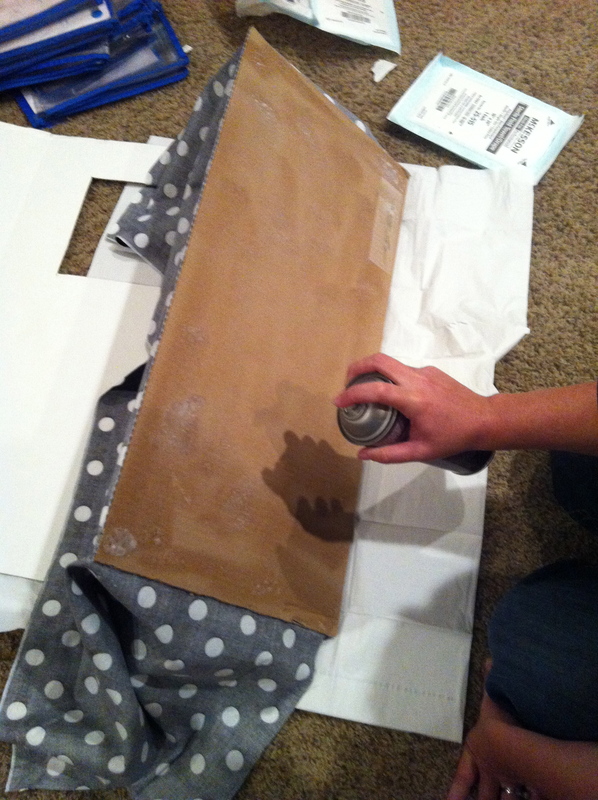 I actually have fabric–it tends to last longer, but butcher paper would work. I just stapled it because those walls were the foldable kind, so it was kind of like a bulletin board. Good luck! I’d love to see your room! Love the label idea! Could you use the same idea for hall passes? Would be safe for kids? Great idea! Yes you could!